Five teams from Falmouth School representing key stages 3, 4 and 5, took part in a STEM Tournament organised by the Rotary Club last week. The event held at Falmouth School welcomed over 150 students from schools across the county, as teams were tasked with designing and making a device that would successfully launch a space capsule, represented by an air golf ball, at least three metres into the air. Key stage 4 students had to successfully land their space shuttle safely by adding a parachute to their design and students from key stage 5 had to launch theirs from a carrier vehicle. All three age groups had a lot of fun with the task and enjoyed competing with the other schools involved in the day. 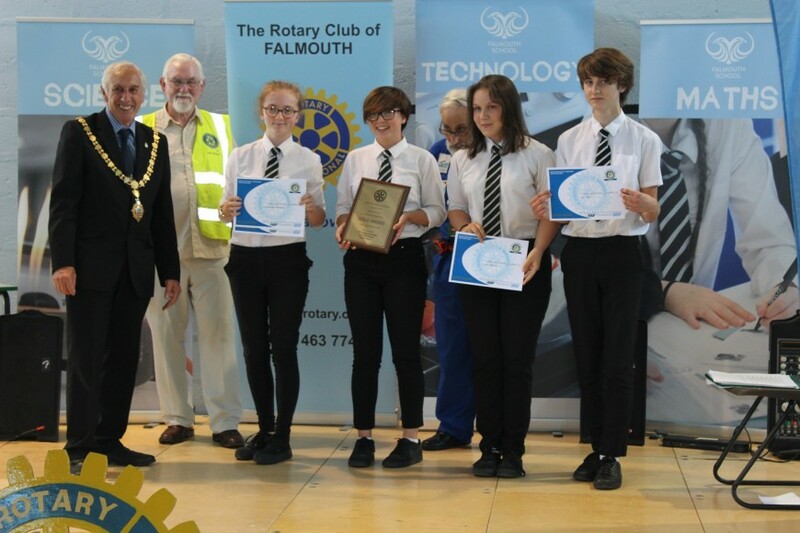 When it came to the prize giving at the end of the day, Falmouth School’s key stage 3 team took first prize for their design portfolio and the key stage 4 team won the trophy for the best test launch for their age group. A fantastic day was had by all involved, with some innovative and inventive designs on show.